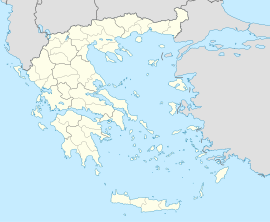 Papagou-Cholargos (Greek: Παπάγου-Χολαργός) is a municipality in the North Athens regional unit, Attica, Greece. The seat of the municipality is the town Cholargos. The municipality has an area of 7.325 km2. This Attica location article is a stub. You can help Wikipedia by expanding it. This page was last edited on 22 January 2017, at 09:45 (UTC).